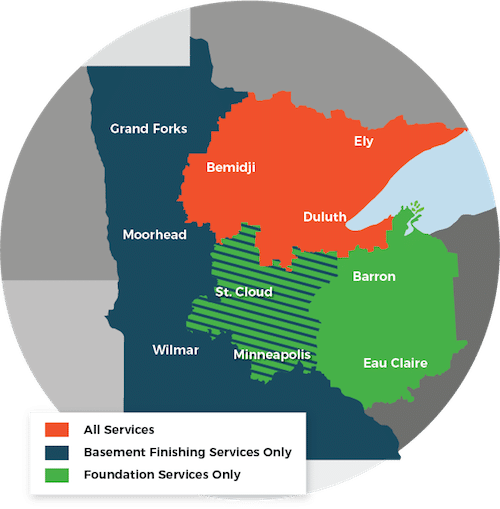 Are You Looking For Local Foundation Contractors In Minnesota and Wisconsin? At DBS our team of in-house foundation experts has warrantied solutions for structural issues related to settling foundations of all types. Our foundation push pier systems include a 25-year warranty against manufacturing defects, as well as our own performance warranty. We're proud to serve Duluth, Superior, Minneapolis, and many other parts of Minnesota and Wisconsin.